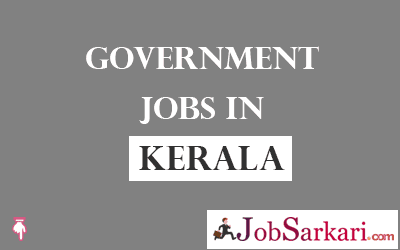 Government Jobs in Kerala page will have all the updates related to the current government job openings in Kerala state. Candidates who are looking for government jobs in Kerala can check below the table, where you will find all the necessary information like organization name, post name, vacancy details, last date and if you are willing to get more information then click on the title of the desired job vacancy. This page will be updated time to time once we get any new information from Kerala state government. If you don’t want to miss any updates for government jobs in Kerala. Then bookmark this page by pressing CTRL+D or keep visiting our site Jobsarkari.com on regular basis. We will put all efforts to provide you the latest and genuine information in better way. Also we will try to put vacancies for all qualifications candidates like 12th, 10th, Graduate or Post Graduate.